In this podcast episode Meghan and I have some real talk about mindset. 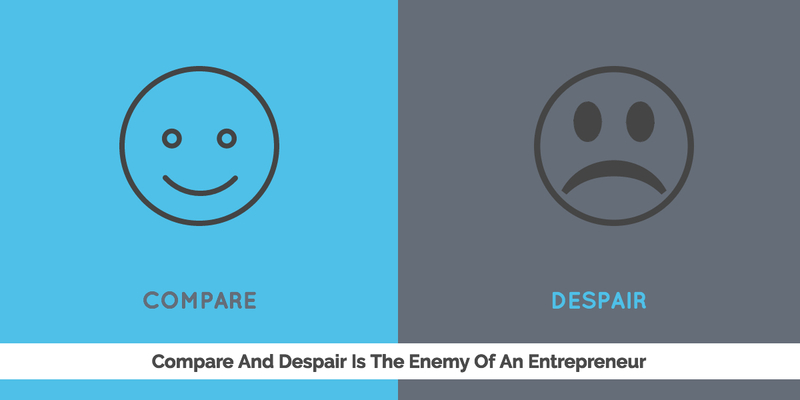 Compare and despair has become a real serious problem in the entrepreneurial space. It is so common for someone who is just starting out with a blog or a business or an idea to compare themselves to someone else who is ahead of them in the process. Meghan is working on a sales funnel and it is her first. She believes that her first sales funnel has to be the greatest sales funnel on the planet. I am in the midst of documenting process and thought that I needed to use the coolest tools to get the job done. Neither of those facts are true. As Meghan said "She is trying to build a Mercedes right now when a Ford Focus would do just fine." This lead us to discussing some of our icons in the entrepreneurial space, Entrepreneur On Fire and Screw The Nine To Five. These are two companies that both of us admire. When they each started out their websites were, not so great. Ok sorry guys but they were pretty crappy. Check out the screenshots below. It matters because today these are two highly successful businesses but they started off simple. They started off without the best designers. They started off without really knowing what was going to happen. They put something up and then each focused on adding insane value. If you nail the value the pretty stuff can come later. We covered much more so listen and let me know what you think. Stop thinking that round 1 of something has to be Amazing. There is plenty of room for improvement but if we don't start somewhere amazing doesn't matter. Meghan is a client of mine that helps entrepreneurs and startups develop medical products and move them to market. In addition to being a client, we've also become friends and have bonded over Tex Mex food together. When she's not working, she loves going to the beach and spending time with her adorable husky, Abby.